"Our time comes in good season or bad, and we disappear into the earth, the air, or the sea, and soon all is gone, save memory. But this memory must shape the world to come. How we are remembered will determine the fates of those who follow." Again one of "The Girls of Room 28" has left us. 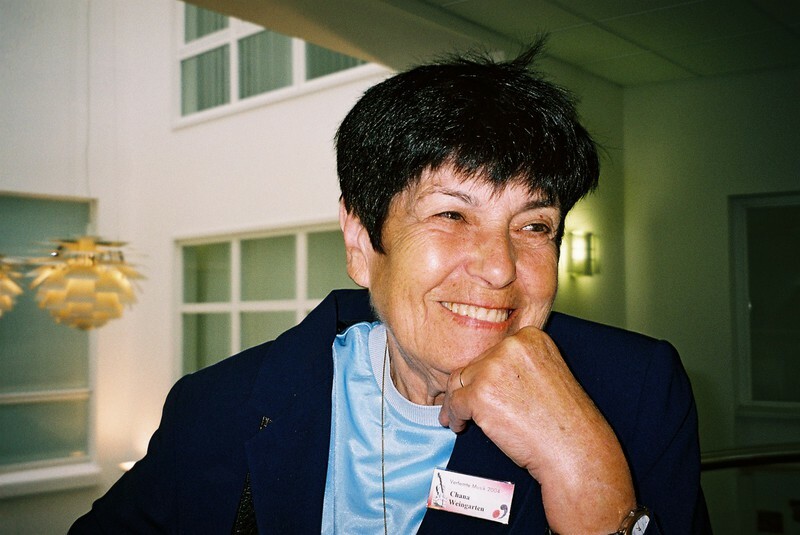 Unexpectedly - she did not show any signs that this would happen so suddenly and visited Hamburg in May - Hanka died on 1 Juni 2018, in Tel Aviv. Hanka was an exceptional personality, full of vitality and always ready to help, to organize and to just do without any hesitation what she realized necessary to be done. Unforgettable for me are my stays in Israel. She was my anchor-point, even something like my Israel family. Without her, my travels around in Israel would not have been possible. She connected me with her friends, opened doors for me, drove me around in her car and would take care of my schedule. I just had to entrust myself into her care and relax. This was also the case during my last visit in 2016/2017. Unforgettable remain the days in September in Spindlermühle. 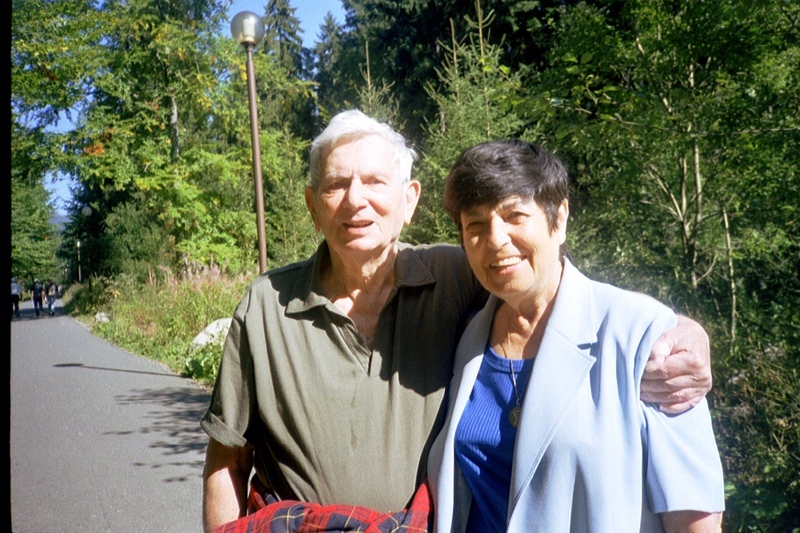 Both, Hanka and her husband Abraham, were full of charm, humour, spirit of entertaking and warmth. They added a very special quality to the atmosphere of these coming-togethers in Spindlermühle, in the Krokonosc mountains. All of us loved this wonderful couple. Unforgettable for me are also the moments, when Hanka talked about her childhood in her birth-town Znaim/Znojmo in the Czech Republic, about her escape when the Nazis occupied the "Sudetenland" in October 1938 and her years in Prague, her town of refuge, and the following internation in in the Ghetto and Concentration-Camp Theresienstadt till May 1944 and then, from May to July 1944 in Auschwitz-Birkenau. Together with her mother she was then sent to work in the bombed City of Hamburg clearing rubble. She ended up in April 1945 in Bergen-Belsen, was close to death, wehn the Americans liberated the camp. 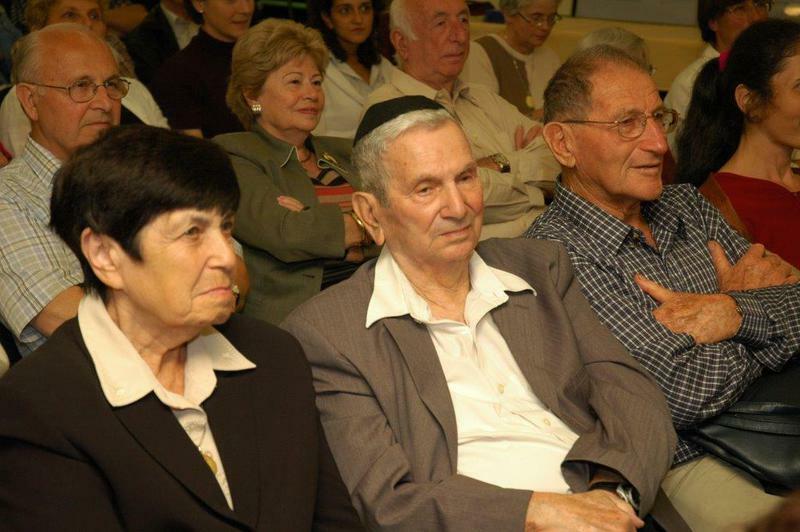 A few days after liberation her beloved mother Lily Wertheimer died. 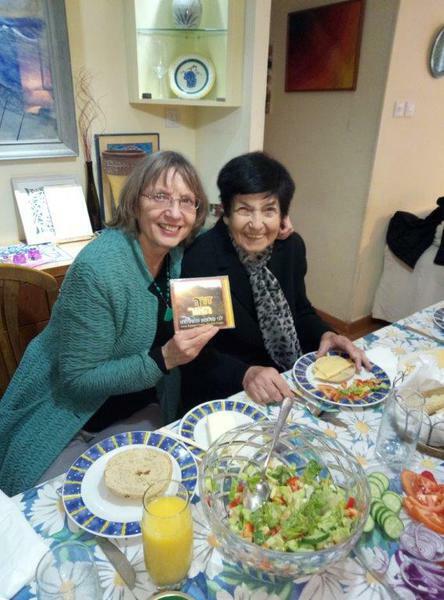 The encounter with Hanka Weingarten, her personality and our friendship had an enormous impact on my life. Now that I write these lines I feel it stronger than ever before. Hanka had consented to come to Germany in September 2018, in the frame of the exhibition "The Girls of Room 28", which will be shown in the same place in Schwerin, where it was opened for the first time in 2004 - 14 years ago. When she was invited, Hanka said: "If I am still here, I am coming." This is what she always replied to invitations like this. And she used to add: "You never know what is happening. The day comes when we all go." This day has come. It is quite unconceivable for me - although I am well aware of and prepared for the finiteness of our lifes. But loosing Hanka is hard, and I feel it is so because she has become part of me and my life. My deepest sympathy go to her children and grandchildren in Israel and in the US. Ela Weissberger, née Stein, one of "The Girls of Room 28" died March 30, 2018, in Raleigh, North Carolina. 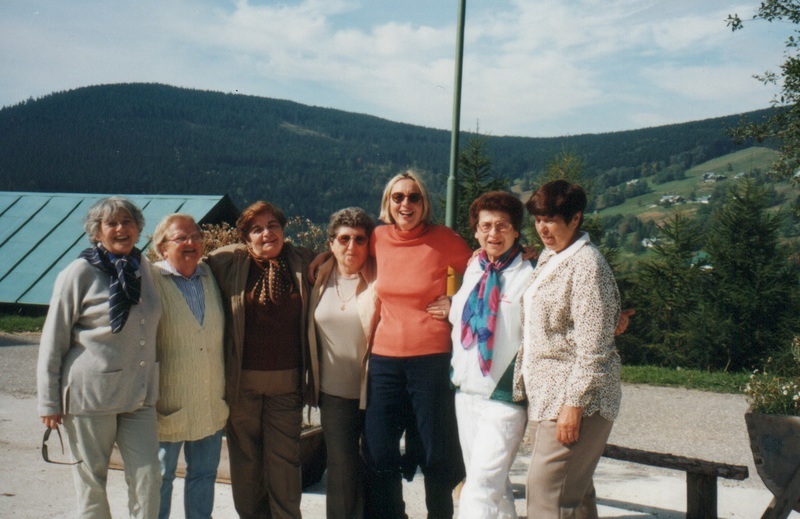 Never will I forget our first meeting in 1996 in her home in Tappan and the uncountable moments we spent together - the meetings in Spindlermühle, the events that followed after the publication of the book and the opening of the exhibition "The Girls of Room 28" in 2004. 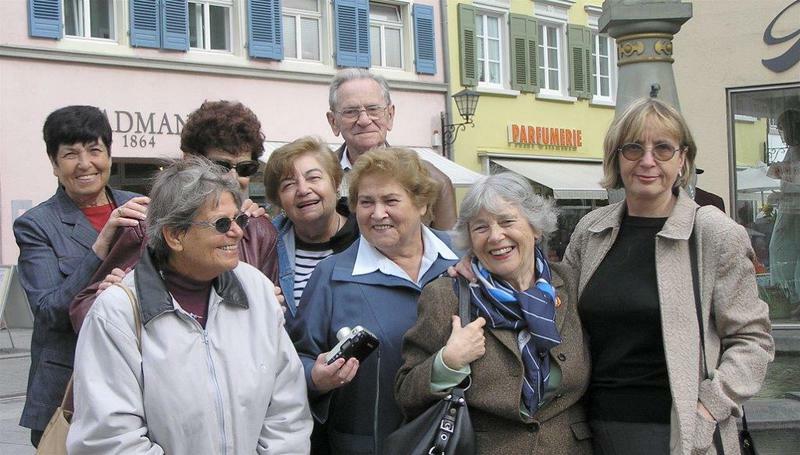 The photo above was taken in 2004 in Überlingen, Lake of Constance, where our exhibition was shown and Ela and her friends were invited to share their experiences in the frame of performances of the children's opera Brundibár. Ela had played the cat in the Theresienstadt performances, and to remember the children of the Brundibár cast and the children of Theresienstadt became her mission. This mission has taken her to many places in the US and in the world and on many stages, into the media and, I am sure, her words have reached and touched many people's hearts. This is a little comfort: There are millions of people who won't forget you, Ela, and what you had to say. You will live on. If you would have had the chance to browse through the Compendium 2017, you would have found four pages devoted to you and your childhood, and further pages that remember you as the one who played the cat in Brundibár. I am so sorry that I had no chance to send it to you. I feel so very sad that we have lost you! Our years in Theresienstadt will have been for nothing if we ever oppress so much as a single person in our own life. Anna Hanusová, our beloved Flaška, died on 30 April 2014. She was and is the soul of Room 28 Projects. Everyone who met her knows: She was a wonderful person: charming, loving, full of empathy, vitality and humour. She opened up her heart to so many of us and reached so many hearts. The love she gave will live on. 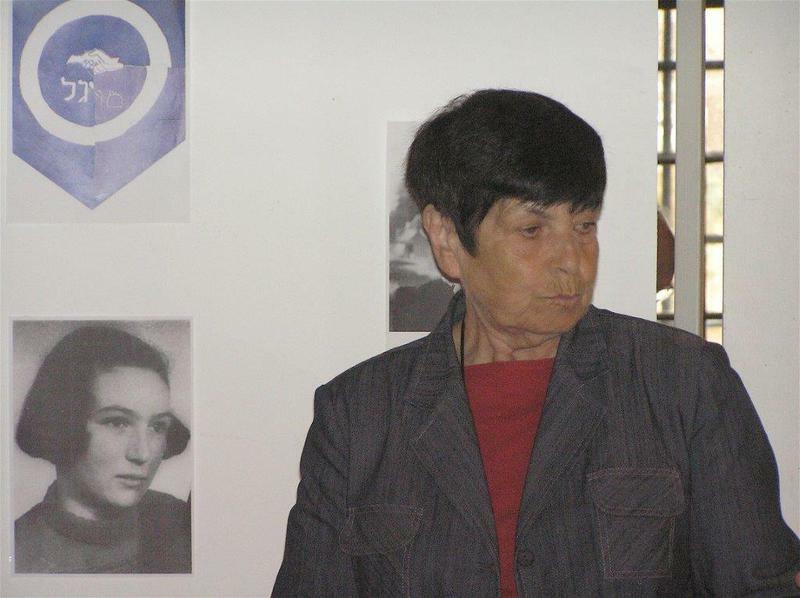 Whenever she spoke about her experiences in Theresienstadt, she quoted words by Margit Mühlstein, whose daughter Maria lived in Room 28. Margit Mühlstein left these dedication in her album: Our years in Theresienstadt will have been for nothing if we ever oppress so much as a single person in our own life. And she added: "This has become the motto of my life."